I am thrilled that I will be returning to The Philippines this summer as a teacher with Project Philippines 2014 and Artists Striving to End Poverty (ASTEP), an established non-profit arts organization in New York City. The project has expanded this year to not only include classes in music, dance, and visual arts, but also drama! I am so happy the project is growing and I am honored to be a part of it again. 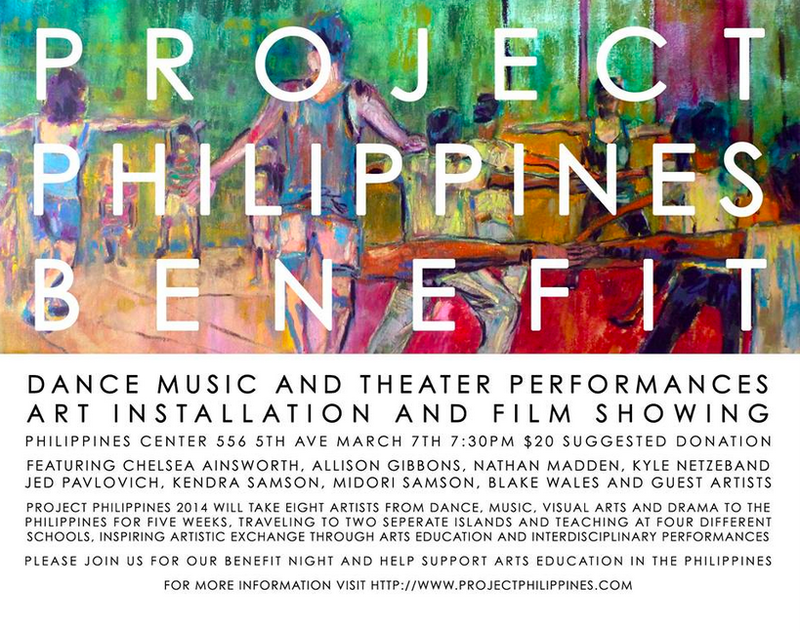 Please join us for a night to benefit our project: March 7, 2014, 7:30pm at the Philippines Center (556 5th Ave, New York, NY). The suggested donation is $20 for a night of performances in music, dance, and drama, an art show, and silent auction. Hope to see you there becoming a part of our project!